With Battlefield V’s battle royale mode Firestorm now confirmed to be out this March 25, DICE is set to open the dam when it comes to Battlefield 5 Firestorm info! As part of DICE’s sneak peek into the studio’s plans for next week, a flood of Firestorm info is set to go up as well! Prepare to read up on vehicles, objectives, and lots more! Also of note, a new Battlefield V patch is set to be released as well. Check out the full list of announcements and news coming next week! Classes – While there may be some overlap with our Classes discussion and our previous Gadgets discussion, let’s focus specifically on Classes and Combat Roles. 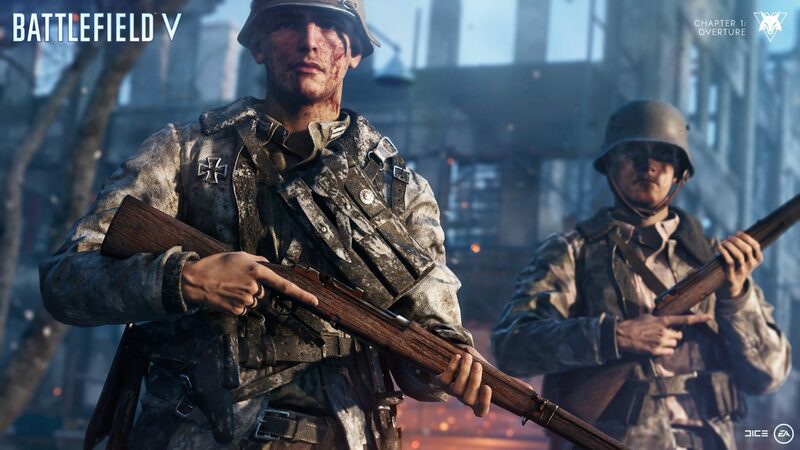 Battlefield V: Firestorm Gameplay Trailer – Watch the gameplay walkthrough trailer, then let’s chat about BFV: Firestorm gameplay. Battlefield V Chapter 3: Trial by Fire Update #1 – Let’s talk about the update. If I had to hazard a guess, we’ll be getting one Battlefield V Firestorm blog post for each day of the week! So expect a blog post on Monday until Friday. Don’t forget to watch the latest Firestorm trailer right here to whet your appetites for battle royale done the Battlefield way.